I know, creative title right? I’ve been meaning to write this post for a bit, but well life. That’s my excuse, that’s my story and I am sticking to it. Earlier today my friend Christel, (we had food together and I got to play with the Kid, she is now a friend) asked a question in regards to pumps. With the fold up of Asante, she is looking for something new/old. So because she asked about Animas and the pros and cons of the Ping vs. Vibe pumps, it is time to write my thoughts. Did I mention it’s waterproof? While a lot of the ugly comes from a customer service standpoint, the not holding the 200u makes me nuts. Now in the course of three days I go through roughly 170/180 units of insulin and have that cushion, sometimes it is nice to know I might be able to drain the reservoir to 0. I’d like to have those units back. Granted my older Ping was able to function at 195, the newer one I had that was a warranty replacement was in the same 190 – 188 category. It seems like a small thing, but if you say 200u it should be able to function with 200u. What if I recycled my tubing so it didn’t need to be primed? That’s wasted insulin. One of my biggest fears with this pump was the battery drain from the CGM, to be honest is the battery life that much shorter? Not really, I mean if it alarmed a lot and was accessed a lot, maybe so, but I am getting roughly the same amount of battery life as I was with my Ping. I’m happy to report that the CGM portion of the Vibe will continue to function and remember where it was if your pump battery does die. More so if you are in start up mode for the CGM, once you replace the battery, it is business as normal. I will mention the fact that usually I am able to replace the battery within a short period of time. Not sure what happens if the battery dies while you are sleeping and don’t catch it till the morning. The one thing though with battery life and this I am still trying to ascertain is that I feel the warning window of low battery to dead battery is diminished. It used to be that the first time I saw the screen that said low battery, I had roughly a day or so before the battery died. With the Vibe, I have had as little as 4 hours to about 10 hours. I am still trying to sort that out. All in all, I am very happy with this pump, the slow screens can be annoying if you are used to the speed of the Ping, the updated UI is nice, the CGM is great for me. I play Ultimate Frisbee and while my CGM is on the sideline, sometimes I will be out of range. With the pump, I can just look down and see the numbers. Before upgrading to the Vibe, I had been using the Ping for over 5 years I think at this point. I’ve lost track, it has been my companion for so long. 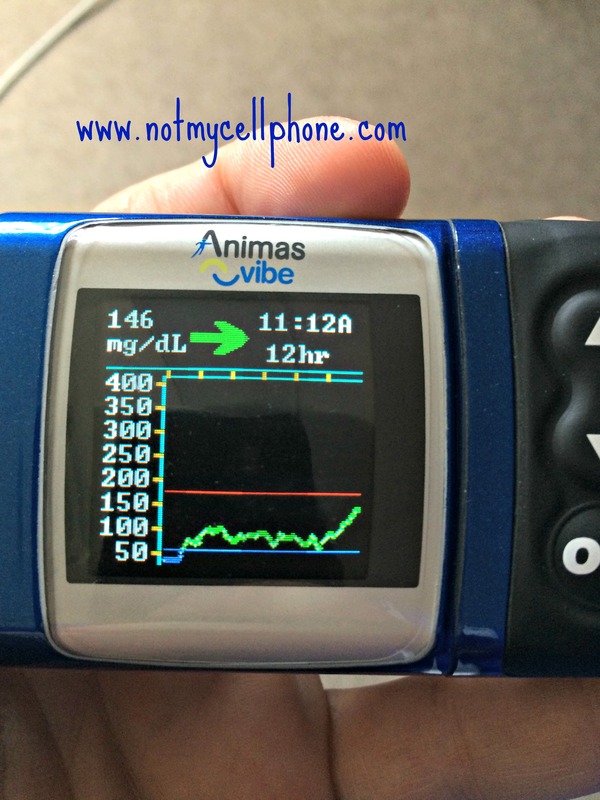 The good is pretty much the same for both pumps with the obvious omission of CGM Capabilities. In fact much of this list is still the same with a few small updates to each category. I remember years ago when I left my Medtronic pump behind how excited I was when I got the Ping. Not only did I like the pump and the programing, having access to the food database, the ability to program tones, etc excited. That lasted about 3 months. After that, I just liked the fact that the pump was a solid pump. The fact that it was waterproof was awesome and I could take it swimming with me, was a plus. There was no wrong with the pump. Even 3/4 years ago when my pump was out of warranty and broke, the people at Animas sent me a loaner pump until I made the decision between pumps on the market. After being on the fence for so long, I decided to stink with Animas, even though the Ping system was showing it’s age. Partly because the promise of the Vibe was out in the world and I kept hoping it would be sooner or later. In the end when the Vibe became available, I switched, am I happier with the Vibe? I can’t say, I think it is a balance for me. When it comes to choosing a pump, truly you need to make your own choices. You need to weigh the use of the Key Features of each pump against each other. Is having Dexcom integration a deal breaker? Will having the meter remote make your life easier? Do you even use One Touch products? Will your insurance cover the strips? How fast do you want your pump to be? The base unit of the Vibe/Ping are pretty much the same, aside from the CGM and slightly updated UI. That is truly all the difference. The question is, do you need or want it? Would you be happier without something else beeping at you or are you better off with that second alarm buzzing on your side? I am not a doctor, this is not medical advice nor medical opinion, this is just me. I have no issues talking about my opinion on these products, but this is not Gospel, the would be Matthew, Mark, Luke, and John. Seriously, though if you have any questions I can and will happily give more input. This was just supposed to be a small post to help someone out. Ask your Animas representative for a cradle. My Animas rep gave me a brand new dongle and a blue cradle and my new Vibe uploaded seamlessly to Diasend. I have never gotten my reservoirs to load past 186. 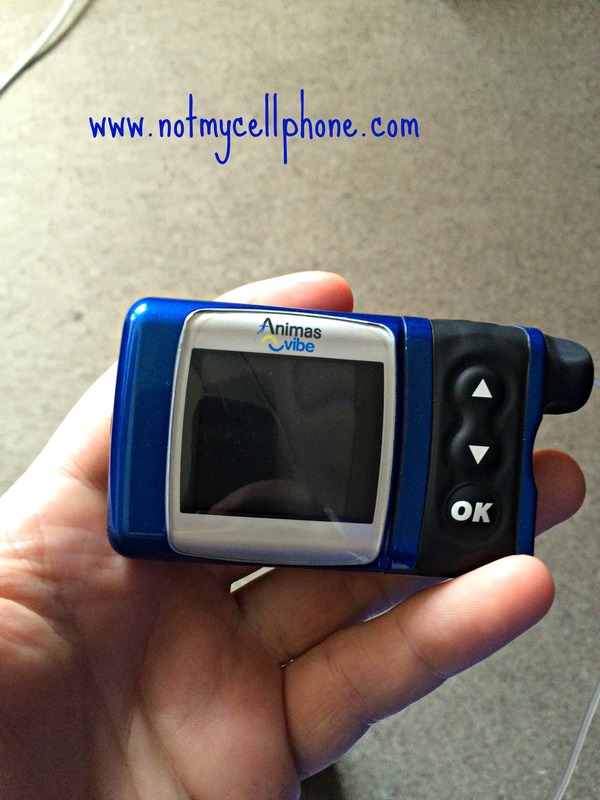 This is my first experience with a Dexcom and I am absolutely thrilled with it. I didn’t want to carry around a bunch of different devices and am very pleased with the integration with the pump. I do not miss the Ping remote whatsoever. I agree, remote is good for many, most likely families or those who need the easiest of access to their pump, but it’s not for me.